Ibanez Prestige RG655. Made in Japan. Year 2014. Ibanez PGM100. Made in Japan. Year 1990. This is NOT the reissue model. Slim neck, DiMarzio pickups. Ibanez SR900 4-string bass. Made in Japan. Year 1994. RARE! Slim body. Condition 9/10. Active Full Rage (AFR). AFR-P (N) Active pickups : Bright, tight and punchy with solid bottom end. AFR-J (B) Active pickups: Complements AFR-P in power and adds more solid, bridge, high end. Ibanez RG450. Made in Japan. Year 1999. Rosewood fingerboard. Silver chrome finishing, Rare color! Hardware parts is 100% rust-free. Equipped TRS Trem. Ibanez JS-700TR. Made in Japan. Year 1998. 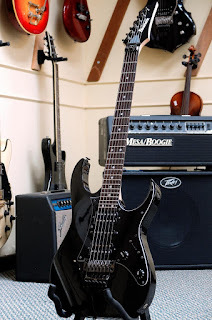 Its a super RARE Joe Satriani earliest mahogany JS model. Bolt-on neck and hardtails bridge and soapbar pickups. Transparent red finished. RARE Japanese made JS700 with JS CUSTOM inlays. ONLY1500 PCS WORLDWIDE! Condition 9/10. 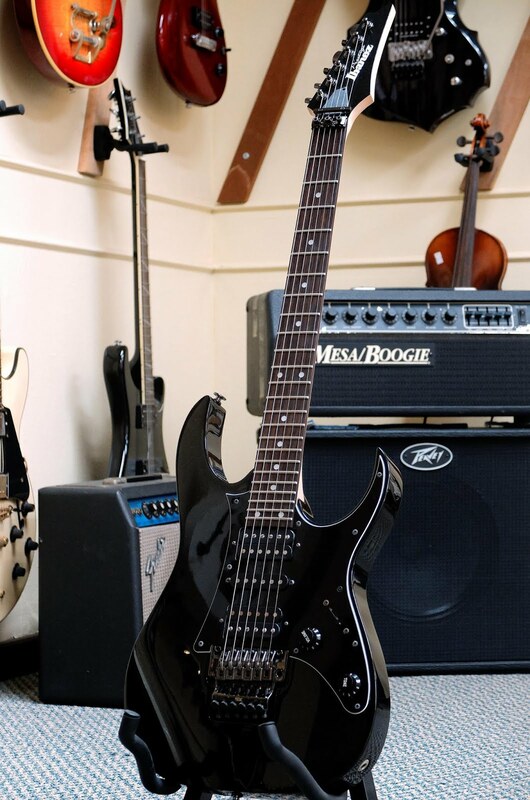 Ibanez ArtStar AM300. Made in Japan. Year 1989. Ibanez RG420. Made in Japan. Double Humbuckers. Japanese domestic model. Condition Superb mint! Ibanez RG470. Made in Japan. Year 1993. Wizard II neck. Shark-tooth inlays. MOD knobs. Ibanez RGR470. Made in Japan. Year 1995. Reveserd headstock! Parts condition still great! Ibanez RG680CML. Made in Japan. Year 2001. LEFT HANDED! Flame maple laminated. Equipped with Seymour Duncan JB Humbucker bridge pickup. 24 frets. Condition MINT! Ibanez RG550. Made in Japan. Year 1987. Maple fingerboard. Black with Neon red line finished. This RG do have the most of the earliest RG had on the back of headstock paint crack. BUT DOES NOT effect the playability! Ibanez S470. Made in Japan. Year 1993. Ibanez RG550. Made in Japan. Year 1990. Maple fingerboard. Jewel blue finished. Slight paint crack at the back of the neck, but won't effect the playability at all! Ibanez George Benson Signature GB10. Made in Japan. Year 1998. One of the best Archtop guitar. All original parts with original Hardcase. Wonderful finishing and craftmanship.Condition is like new, 9/10 ! Ibanez BTB-505 5-string. Made in Japan. Year 1999. Ash Body, BTB neck, MR-2 Bridge, Neck Bolt-on. Dynamix Full Range ACTIVE pickups with VM-3B EQ. Vari-mid 3B (VM-3B) Controls: Vol, Balance, Bass boost/cut, Treble boost/cut, Top Mid boost/cut, Bottom Mid Frequency. Neutrik jack input. Condition 8.5/10. 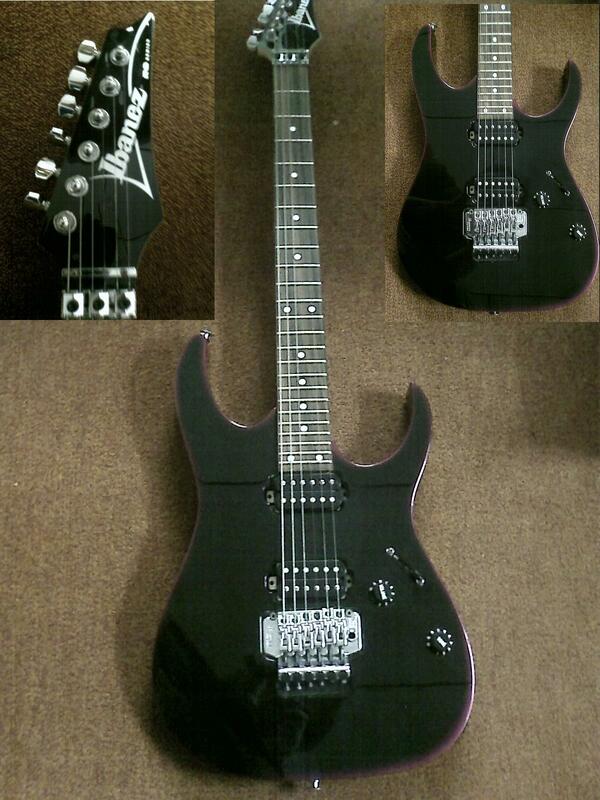 Ibanez Pro Line PL650. Made in Japan. Year 1986. Rare domestic Pro Line series. Individual on/off switch for the pickups. Condition 8.5/10. Ibanez S540 LTDJB. Made in Japan. Year 1994. Bounded neck & headstock, "CUSTOM" tag on the 23rd fret. Fingerboard: Rosewood | 24 Frets | Sharktooth inlays. Finish: Jewel Blue with Cosmo Black hardware. Ibanez Pro Line Bass. Made in Japan, 1986. Vintage and discontinued bass. Punchy tone and comfort body. Maple neck with 24 frets. Condition 9/10. Price: SOLD to Zamil from Qatar. Ibanez PGM900. Made in Japan. Year 1997. Rare PGM series. Stock parts. NEAR to NEW CONDITION!!!!!! 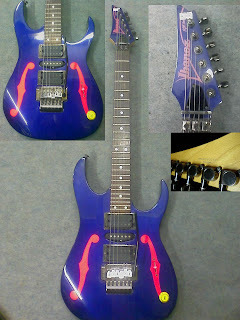 Ibanez 540R. Custom model. Made in Japan.Year 1991. Pre JS model. Condition 9/10. Ibanez SR500 4-string Bass. Made in Japan. Year 1994. Japan Domestic market. Maple neck with 24 frets. Punchy tone and comfort body. Condition 9/10. 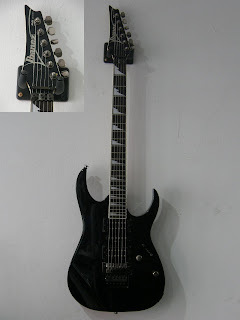 Ibanez VINTAGE Destroyer II DT355. Made in Japan. Domestic model. Another Destroyer is in the house! Condition 9/10. HARDCASE INCLUDED! Ibanez SR400JB Bass. Made in Japan. Year 1993. Jewel blue finished. Maple neck with 24 frets. Ibanez PGM30 WH. Made in Japan. Year 1998. Another PGM series guitar is here! There is some body scratches (shown in picture). Bolt-on Neck. Hardware parts still in perfect condition! NOT REISSUE. Maple fingerboard. Condition 8/10. Ibanez Roadstar II Series-RG440PR. Made in Japan. Year 1986. Basswood body, Ibanez Edge Trem system. 2 x Super 7F, 1 x IBZ Humbucker. Pearl red finished. Condition 8/10. Ibanez Blazer Series Bass BL-700. Vintage Bass. Ibanez RG550 LTD. Made in Japan. Year 1994. Original Parts and condition still great! Condition: 9/10. Ibanez 540R. Made in Japan. Year 1990. Its a pre JS model with ergonomic shape. "Custom made" 540R domestic model with IBZ pickups by DiMarzio. Ibanez PGM500. Made in Japan. Year 1996. Yes again, its here. All original parts. Clean hardware without rust. Condition 8/10. Ibanez PGM300. Made in Japan. Year 1993. YES ANOTHER 1 ! All original parts. Aged fingerboard. No Rust on the hardware! Condition 8/10. Ibanez PGM900. Year 1997. Made in Japan. Rare PGM series. MINT Condition! Stock parts. Ibanez RB885 5-strings Bass. Year 1986. Made in Japan. Active pickups. Comes with original hardcase. Ibanez RG Custom. Made in Japan. Year 1994. Rosewood fingerboard. Rare axe! Not much info on this, picture does the talking. Ibanez SR745 5-strings Bass. Year 2000. Made in Japan. Both Neck and bridge Active pickups. Condition 8/10. Ibanez AR-300. Crafted in Japan. Year 1983. Wonderful vintage guitar. Set neck. All stock parts. Ibanez BTB 670 4-strings Bass. Made in Indonesia. Price: SOLD to Mr Carsten based in Seremban from Denmark. Rare domestic Pro Line series. Individual on/off switch for the pickups. Ibanez PGM300. Made in Japan. Year 1991. First batch of PGM300 guitars. Original parts. Hardcase included. Condition 9/10. 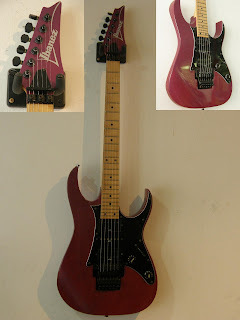 Ibanez PGM500. Made in Japan. Year 1994. Reversed headstock. Original parts. Condition 9/10. Maple fingerboard. Very good condition: 9/10. Ibanez RG 550R. Made in Japan. H-S-H. Condition 8.5/10. There is a scratches at the bottom. Ibanez RGR 480. Reverse Headstock. Bolt-on neck. Year 1995. Made in Japan. Ibanez RG 570. Made in Japan. Condition 8/10. 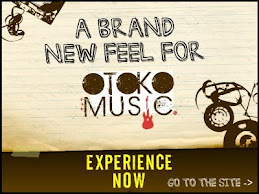 HeadStock logo had been changed. Thanks to Ken Fei from Malacca! Ibanez VINTAGE Destroyer II DT355. Made in Japan. Condition 8/10. Discontinued model. Ibanez PGM30 Jewel Blue. Rock guitar that deliver the really big tones. Features Lo-TRS II Tremolo. Bolt-on Neck. Single volume & tone control. Made in Japan. Condition 9/10. *** ALL Ibanez Guitars are included of Softcase. somethings wrong with the 2nd rg headstock.. Ya.. There is a sticker there.. But is an original ibanez RG neck with the serial number behind. Law n Fee is right. How much for that RGR480? I'm looking for that but I have no idea of the price! 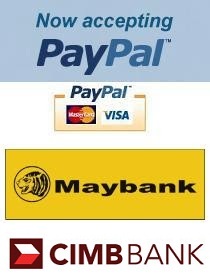 Hi Yuri, the price is from range RM1900 to RM2300 depends on the condition.. The details for the Ibanez Destroyer II DT355 are most likely incorrect. 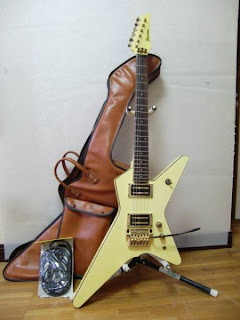 They exactly match an Ibanez RGR470 also posted on the page. Most likely a copy/paste error. PGM900 in da house... again! 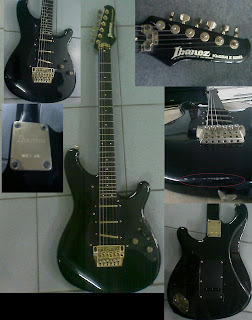 Hello...do you have ibanez ARZ700?price? Hi Naim, sorry man, i dont have any ARZ700. Is it a new model? If new model, i can try to get a brand new guitar but not used..
Hi Naim, for brand new model import from Japan will cost RM3900 including tax and shipping. If used, i wont have it. It is made in China or Indonesia if its not a Prestige model. 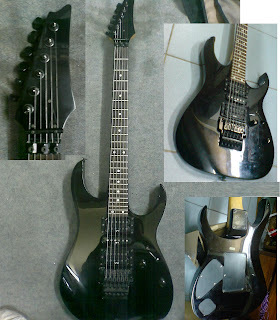 thanx man for the information bout the ARZ700....one more thing do u have ibanez 7 strings?how much usually it cost? No problem. For brand new i have it. ibanez bass 4 strings proline series still avail? Sorry bro, the guitar is reserve to 28dec 2012. Sorry bro, we don't sell the Edge bridge.. Sorry that we dont buy used at the moment.